Contact the Wilson V. Eagleson Chapter of Tuskegee Airmen, Inc.
WILSON V. EAGLESON CHAPTER, INC.
Wilson V. Eagleson Chapter of Tuskegee Airmen, Inc. Contact Us by E-Mail: We may also be contacted by e-mail using the following form. Please note that fields in bold text are required. If your browser does not support forms, you may contact us at: . Contact Our Webmaster: Should you encounter any technical difficulties with this website, please feel free to contact our webmaster at: . 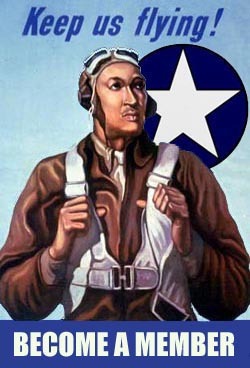 Copyright © 2003 Wilson V. Eagleson Chapter of Tuskegee Airmen, Inc. All rights reserved.